A good thermostat is a vital component in any residential HVAC system. It ensures that the proper temperature is always maintained in your home. And with modern technological upgrades, these systems are capable of much more – including programmability and the ability to regulate humidity if you have a humidifier or dehumidifier installed as well. 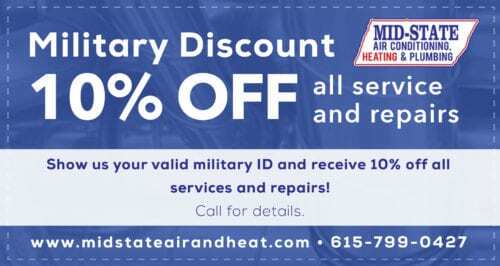 To learn more about Mid–State Air Conditioning, Heating & Plumbing and our Nashville, TN thermostat installation, maintenance and repair services, call us today. There are many benefits to modern thermostat replacement. Programmable thermostats allow you to set the temperature when you are not home. Specifically, you can set your thermostat to turn on or off or to adjust to a different baseline temperature when you’re not home to reduce the amount of energy consumed. Most of these modern thermostats allow you to set the temperature on seven specific days of the week or separately during the week and on the weekend. You can also program humidity controls if you have a humidifier or dehumidifier in your home. This kind of technology greatly reduces the amount of electricity or gas consumed by your heating and cooling systems. Your thermostat should be inspected and calibrated on a regular basis to ensure optimal functioning going forward. The best time to have your thermostat inspected is during routine maintenance for the rest of your heating and air conditioning system. If you have multiple thermostats in your home, they should each be inspected independently. 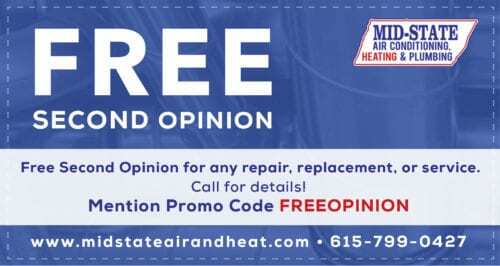 If a problem develops with your thermostat such that your air conditioner is not turning on or is not turning off when it should, it is important that you call an expert right away to perform an inspection and complete repairs. Your thermostat directly impacts the performance of your heating and air conditioning system. Even if your HVAC system is in perfect working order, a problem in your thermostat can cause your home to be improperly heated or cooled. 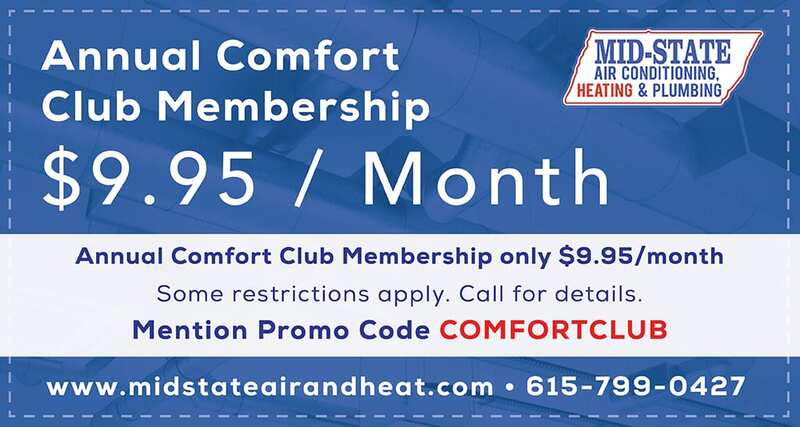 Whatever your thermostat needs, call the experts of Mid–State Air Conditioning, Heating & Plumbing in Nashville, TN and the Middle, Tennessee area to learn more about what we can do for you. 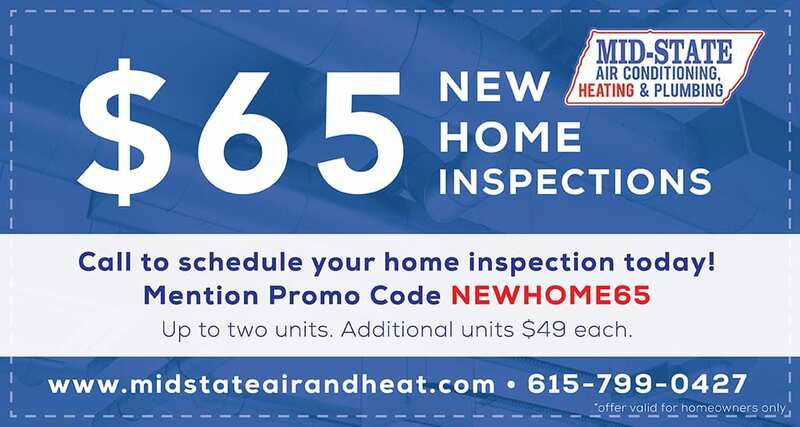 From installation of your new thermostat to ongoing maintenance and repair of your entire heating and air conditioning system, we can ensure everything works as intended for years to come.